Casino Cashback Bonus, In 2017 there are lots of different ways to receive extra bonus cash from your favourite online casinos in the UK. Each brand will try and lure you in with the promise of hundreds of free spins, often with no deposit needed, or huge match bonuses. These offers come when you register a new account. But there are also regular comps for existing customers of these casinos, and you can pick up some pretty tidy rewards when you play your favourite slots or table games in the UK. The Offersville Guide to Casino Bonuses has looked at different bonus types, including match bonuses, free spins and VIP bonuses. Here we look at another bonus type, Cashback. The ‘no-lose’ bonus, another terms for cashback, is a bit of a misnomer. Casinos like to tell you that you can’t lose on a cashback day, but of course you will only ever receive a percentage of your losses back. Generally, a cashback casino bonus will be calculated on the sum of wagers minus wins during the promotion period. For example, if you wager £1,000 when a cashback bonus is on, and only win back £500, your total losses are calculated as £500. Your cashback bonus will be a percentage of £500. The offer will vary from one casino to the next, but upwards of 10% is quite normal, and some may be as high as 50%. Be aware however, that there will be restrictions on how much money you can get back. There will always be a cap on the amount, and almost always your cashback will be received in bonus cash, with a wagering requirement attached. 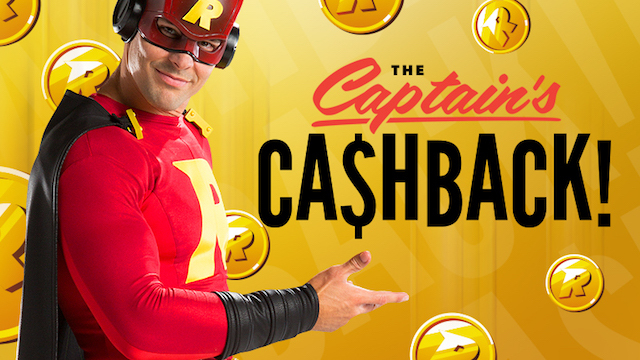 Here is our list of the latest casinos offering cashback bonuses.